The Canadian Radio-television and Telecommunications Commission yesterday released the latest Wall Communications Report comparing prices for wireline, wireless, and Internet services in Canada and with foreign countries. 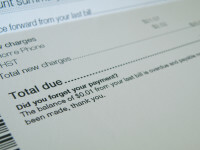 While some initial reports focused on the increased wireless pricing for light wireless users (150 minutes per month with no data or texting) that was attributed to the shift from three-year contracts to two-year contracts, the bigger story is that Canadian wireless pricing is ranked among the three most expensive countries in the G7 in every tier. The report measures four different baskets of users and for every usage Canada is one of the three most expensive countries in the survey (other countries include the US, UK, France, Australia, Japan, Germany, and Italy).